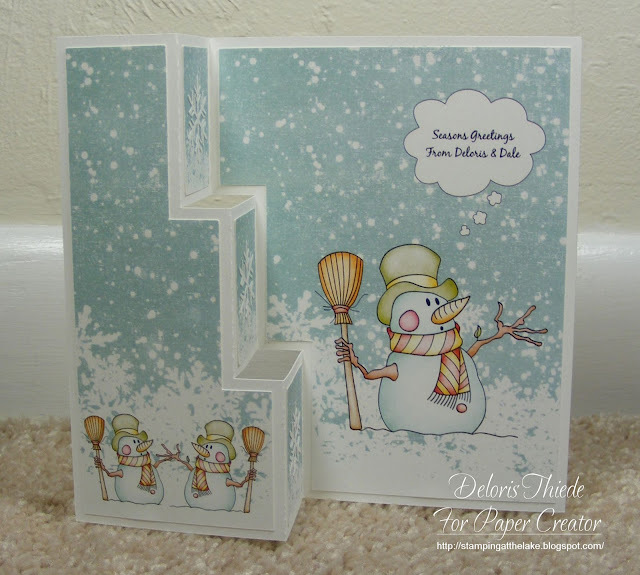 A fabulous Christmas card Deloris, such a fun snowman image and great design. You always choose the most precious, sweet, images. I haven't tried a step card like this yet, but want to. Wonderfully created, pretty card. Thanks for joining us at CHNS patterned Paper Challenge this month. That is absolutely beautiful. Have a wonderful day. Fabulous step card. Love the colors and the papers! Thanks for sharing with us at Winter Wonderland. 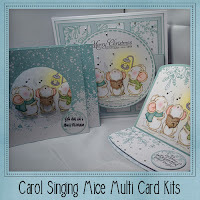 Oh my, Deloris, this is one of the most adorable Christmas cards I've ever seen! I love it and love these sweet little snowmen! I love this step card, and you are really getting me excited about "breaking out" my Silhouette box! Yes, it's still in there (although I did get it out and hook it up - hehe!). I absolutely love this card and love the inside step. I think I could do this! Oh, thanks for sharing this one, and I am very excited...and inspired! Big hugs!